You can pick up the iPhone Silicone Case or Apple Watch Sports Band in new Summer colors. Here are the details. It’s pretty obvious that Apple has developed a habit of launching new colors for its mobile accessories whenever a new season arrives and Summer is no different at all. If you’re an Apple Watch user, then you will be pleased to know that you can expand on your taste and style by grabbing the Sports Band in three new color options: Peach, Marine Green and Sky Blue. All of these feature the same price tag of $49 as before. Head over to this link if you want to buy any of these. 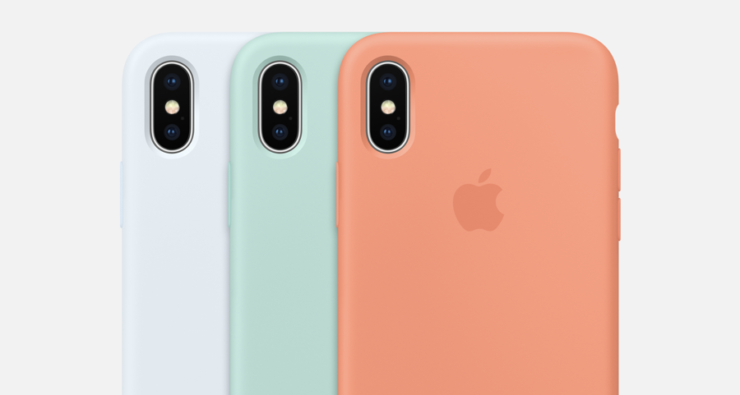 iPhone X, iPhone 8 Plus, iPhone 8, iPhone 7 Plus and iPhone 7 users too can get in on the bandwagon as the Peach, Marine Green and Sky Blue colors are available for the Silicone Case lineup for the aforementioned devices. They’ll set you back just $39 and is a great way to show off your spirit of Summer, if you’re into that sort of thing. You can head over to this link if you’re interested in buying one of these. Last but not the least, Apple has introduced a new Pride band as well which is made from the Woven Nylon material which the company recently introduced. You can pick it up for just $49 by heading over to this link. It’s nice to see Apple expanding on its range of colors whenever it gets a chance. But the thing that will probably resonate even better with customers is a slightly lower price point for accessories. Honestly, $49 for a band is a little too much for some people, forcing them to go for third-party options which aren’t just cheap in many cases, but also carry a mediocre set of qualities.